I’ll help you build your brand to make what you do unique and special – like I did at National Asthma Campaign – when I transformed it into Asthma UK. National Asthma Campaign didn’t really know what it wanted to be. It funded research and supported those with asthma through publications, holidays for children with acute asthma and a much-needed telephone help line. This was all great stuff but there was no coherent brand pulling it together. Communications materials were inconsistent and could’ve been from anyone. There was no unifying tone of voice and the charity was hugely unconfident about its position as the asthma expert. To address these issues, I led the re-brand of the charity from National Asthma Campaign to Asthma UK. After getting buy-in from the Board and leadership, I conducted extensive internal and external stakeholder research and competitor analysis to inform the charity’s values, offer and positioning. I translated this into brand values, vision, mission and position as the asthma experts and developed brand communications strategy. I worked with designers on visual identity and tested this with audience focus groups. 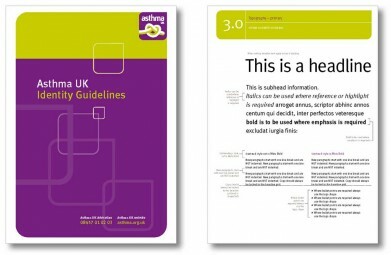 All communications collateral was redeveloped to reflect the new tone of voice, look and feel and Asthma UK is now in doctors surgeries, homes and information outlets throughout the UK. I could do that for you……. Philippa Cowley-Thwaites is a no-nonsense South Londoner with a passion for communications. Since graduating in English from London University in 1983 she has established herself as an expert communicator for a variety of brands in the private, public and voluntary sector with great success – she’s one of the best business writers in the business.